We all have those tasks we despise doing. Mine is washing up, I hate it! I’ve always got a giant pile stacked up on my kitchen side which sits there until I run out of things to eat with and am forced to do it all, usually in a rush as my dinner goes cold waiting for a plate to put it on! I have so much going on these days that it just doesn’t seem to fit in my schedule and I’m usually too exhausted to think about standing in front of a sink bleary eyed in the morning. 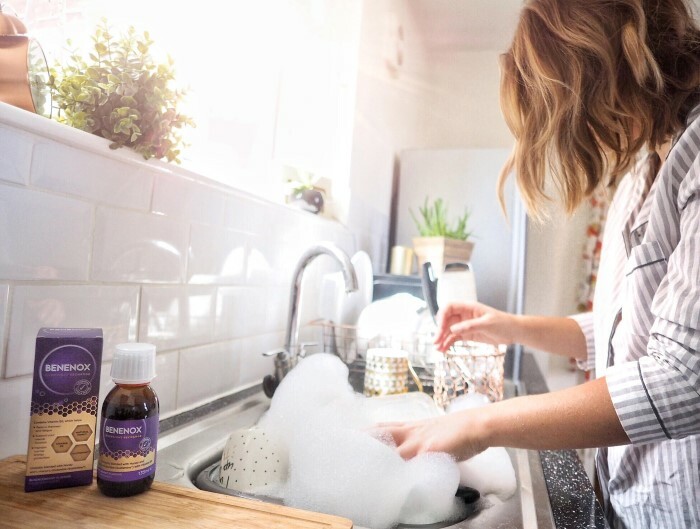 But recently I’ve been taking more care in my bedtime routine making sure I properly wind down to get a good night’s sleep and function better the next day. With a good night’s sleep under my belt I’m just so much more productive and these little tasks don’t seem as daunting. I start with a shower so I feel cool and clean, and I use my NEOM Lavender Cleansing Balm to clean my face, making sure to breath in the calming scent as I massage it in. Then I turn off all the big lights, turn on my Himalayan Salt Lamp for a calming orange glow and put on my favourite spotify playlist that’s actually to calm down anxiety in dogs but I love it too! 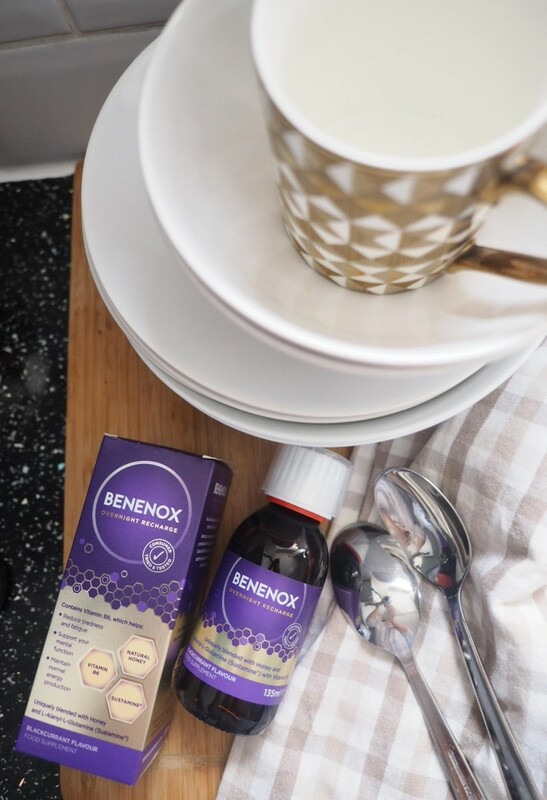 Then I take a shot of Benenox Overnight Recharge syrup which is a combination of honey Sustamine and Vitamin B6 to help you get a good night’s sleep by supplementing your body’s stored energy levels. I really notice a difference when I take my Benenox shot (I love the Ginger flavour) and I always feel that little bit more capable the next day! So now I’ve nailed my #LittleVictory of actually doing the washing up it’s your turn! 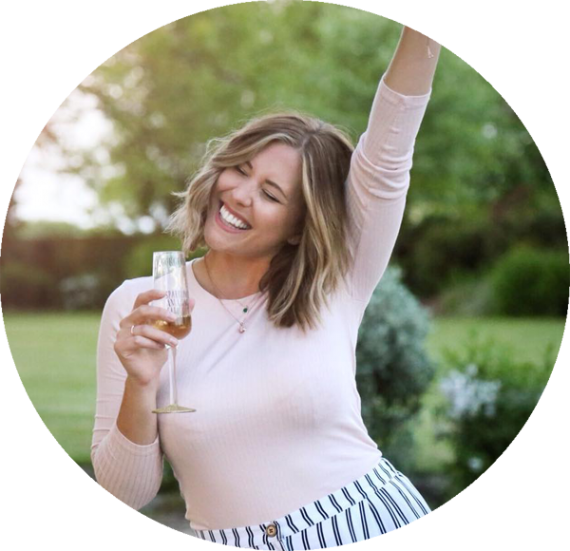 Benenox are giving away a #BenenoxBoost prize of a £150 spa voucher of your choice to one of you lucky lot! All you have to do is post a photo of your #LittleVictory on your instagram feed and tag in @xameliax and @benenox with the hashtag #LittleVictory! Over 18’s and UK Residents Only and the competition closes on the 2nd of September 2018. So tell me, what’s your #LittleVictory? *Post in collaboration with Benenox. As always opinions are all my own!